Big thanks to Michael Arias for being our guest on this week’s episode of The PowerPress Podcast with MacKenzie. Michael’s show The Dental Marketer is only six months old, but he’s already seeing ways to profit. We talk about new opportunities that arise — personal and professional — and learn how Michael found his niche and discovered how passionate he is about podcasting. After talking about his show, MacKenzie and Michael discuss live podcasts and how they’re gaining in popularity. Thanks for listening and please subscribe! Episode 39 of the PowerPress Podcast is here. In this episode, MacKenzie speaks with Chris Savage of the Eclectablog about the podcast he co-hosts, The Sit and Spin Room with LOLGOP & Eclectablog. A political podcast, Chris and Jason decided to start the show right before the 2016 U.S. presidential election and have now reached episode 20. They discuss why it’s important when doing a podcast on politics to be flexible and have ideas on how to deal with the unpredictable. Thank you Daniel J. Lewis for the blog post on how to deal with life’s twists and turns when it comes to your podcast. MacKenzie and Chris end the show by talking about how to become renowned as an expert in your field by way of being a podcast guest or host. Thanks for listening and please subscribe! Fan of PowerPress? Please leave us a review, here! If you’ve ever felt like you needed to transform your life or needed a little more balance, specifically if you’re a mom, this week’s PowerPress Podcast guest Rhonda Cimorelli can help you. Before Rhonda and MacKenzie chat about her show, they go over some mistakes podcasters make and, most importantly, how to avoid them. Rhonda has loads of experience and, as a certified life transformation coach, she is helping “momprenuers” and others create a more balanced work and family life. At the end of the show they talk about the new podcast, S-Town being released by the This American Life and Serial team. The team claims to have a new podcasting format, so storytellers, tune in. Thanks for listening and please subscribe! If you haven’t discovered David Pollock’s podcast, The 10 Minute Marketer, now is a great time to start listening. He’s this week’s guest on the PowerPress Podcast and had lots to say about Blubrry, PowerPress and some best practices for new podcasters. MacKenzie and David discuss what type of equipment a new podcaster should get – and what you shouldn’t do when buying any. After working in radio David transitioned into podcasting and realized what he was missing out on by taking control of his brand. They end the show talking about reviewing podcasts and sharing your favorite episodes with others. Thanks for listening and please subscribe! For example, you can make your blog post title optimized for web SEO by excluding your episode number, but on the new feed episode title allows you to expand on keywords that help with iTunes search. One thing to keep in mind is that iTunes only indexes (their search) your episode and program titles, not show notes. Fan of PowerPress? Leave us a review! How Much Should I Spend on Podcast Equipment? 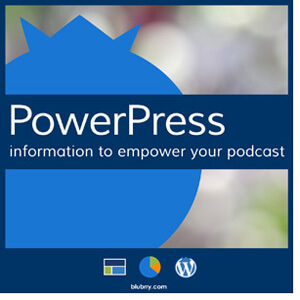 Katie Ward, the host of The Enthusiasm Enthusiast joins MacKenzie on the PowerPress Podcast. Blubrry is based in Columbus, Ohio and they discuss a well-known show that also comes from the area. As they discuss Katie’s show, it becomes apparent how important particular topics are to some in the new year and you can learn more about those on her feminist, passion driven show. She was even nice enough to give her review of Blurry’s Post to Social feature. They end the show chatting about different uses of podcasts, inspired from an article that described a woman making a podcast as her thesis for her Master’s. Please subscribe to the show and thanks for listening! And as a big fan of all things spooky, MacKenzie wishes you a happy Friday the 13th. Happy New Year! Well, maybe a day early. MacKenzie, Todd, and Mike discuss significant changes and updates that happened in PowerPress in 2016. What features came out, changed, what was added to Blubrry, and their favorite projects to work on. A busy year ahead is coming, but MacKenzie is happy to see the year come to a close. PowerPress is going to look a much different come the next release. We’re working on that and hope to make it a smooth transition for everyone, so if you’d like to beta test when the time comes, please let us know. To get the details on all of the changes we made this year, head over to WordPress. Stick around for a new episode release on Friday, Jan 13th. Thanks for listening! 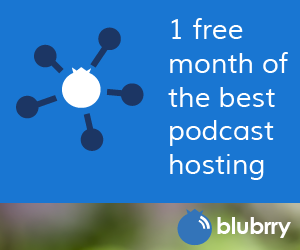 What type of audience is your podcast reaching? You know you’re reaching the correct audience based on your topic and niche, but what about the diversity of the types of people listening to the show? Dave Lee from Waves of Tech from the Modern Life Podcast Network talks with MacKenzie about the issue of diversity in podcasting. They discuss multiple points brought up in an article on NewStatesman and how we can all do better to be aware of what is going on, outside of our bubble. To get the episode started MacKenzie and Dave chat about steps to sustain your podcast and a chronicle about internet connections. Thanks again to Dave for sharing his insight on the show Waves of Tech and what they’ve accomplished the past ten years. Thanks for listening and please subscribe! How Can We Solve Podcasting’s Diversity Problem? New podcasters are full of questions and uncertainties and Todd Cochrane answers some of those questions and considerations. Todd joined MacKenzie on the PowerPress Podcast to give an educated and experienced opinion on what you should think about before you start your show. And speaking of beginners, there is a new app for podcasting, Bumpers.fm. The app was developed by two formers Twitter engineers and focuses on making recording, editing and publishing your episode easily. If you’re interested to hear what Blubrry has going on with new releases, make sure to listen to the beginning of the episode when MacKenzie and Todd discuss the upcoming social media sharing tools. Thanks for listening and please subscribe to the show! Podcasts are supposed to be an art, about creativity, but they’re not always that easy. Barry Kantz, RawVoice and Blubrry team member joins MacKenzie on the show to give podcasters some pointers about protecting their show against issues with copyright and trademark. He explains and points out the differences between copyright and trademark material. We didn’t leave out news articles for episode 32 of the PowerPress Podcast. If you’re a fan of Catherine Keener, Oscar Isaac or David Schwimmer, go download the new podcast, Homecoming; Gimlet Media got actors to voice the new show. And those of you that are looking for a new service to record their show easily with others that are not in the same room, test out Cleanfeed. Record in your browser, download the file, pretty simple for any podcaster. Thanks for listening and subscribe on iTunes, PocketCasts, GooglePlay, etc. Ken Wise recently celebrated his 1 year podcasting anniversary and is the guest on episode 31 of the PowerPress Podcast. MacKenzie and Ken talk about his show, Wise About Texas, that focuses on all kinds of history that pertains to the great state of Texas. As for recent news, well, there’s another podcasting studio available to the public. If you’re in the St. Louis area and looking for an easy podcast recording solution, check this out. Check out the link below for more details. And for those of you out there that are interested in transcripts for your show, there’s another tool coming your way! It’s in beta now, but autoEdit will be available in the future. Those of you looking to test, be aware, it’s open source. 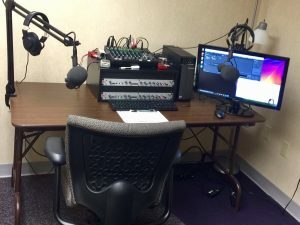 MacKenzie caught up on her podcast chronicle – check out the picture below of the new studio setup. Thanks for listening and hit one of the many subscribe buttons to the show! PowerPress fan? Leave us a review, here!